In 2005, Richard Mills, DVM, DACVECC, helped launch Advanced Critical Care and Internal Medicine of Los Angeles (ACCIM-LA), a specialty practice that focused on providing Emergency Critical Care and Internal Medicine services for animals. 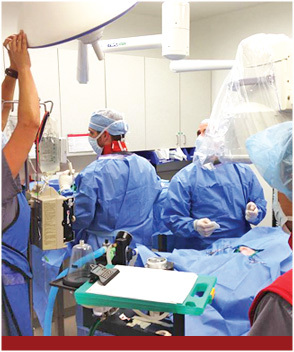 One year later, the independently owned and operated ‘Animal Surgical Center’ was purchased and absorbed into ACCIM-LA to provide surgical services to clients and the primary veterinary community. Specialty offerings were once again expanded in 2007 with the addition of a Cardiology Department, and by the fall of 2008, plans were put in place to meet a demand for Internal Medicine. 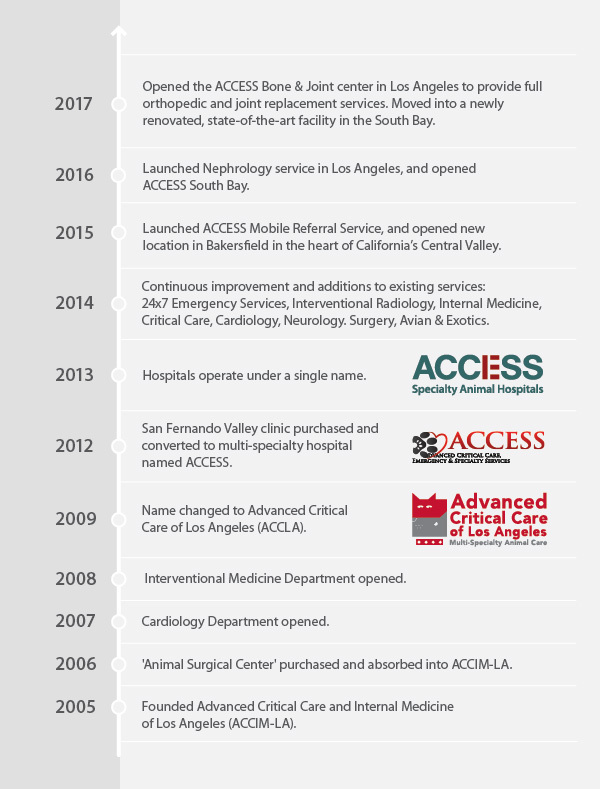 By May of 2009, strong growth in the number of clients, supported by an expanding number of services, resulted in Rich Mills (now the sole owner of ACCIM-LA) updating the name of the hospital to Advanced Critical Care of Los Angeles (ACCLA). 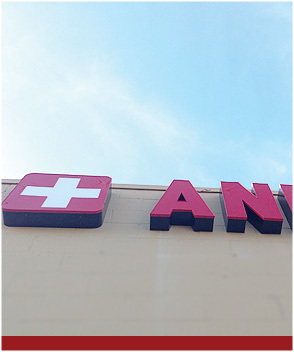 By 2012 regional demand for ACCLA’s services had expanded, and a multi-specialty center hospital was purchased in the beautiful San Fernando Valley. 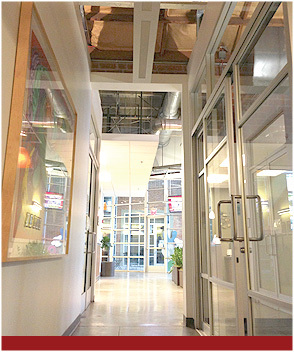 To ensure this hospital provided similar services to local veterinarians and pet owners as its Los Angeles counterpart, construction began almost immediately to expand the facility by an additional 5000 square feet. This consistency in medical services, together with a culture of efficiency and customer-care, resulted in a final name change to: Advanced Critical Care, Emergency and Specialty Services (ACCESS). Today ACCESS offers a variety of specialty departments and services, ranging from Interventional Radiology to Neurology to Grief Counseling – supported by leading-edge technology, teams of highly qualified doctors, and dedicated medical technicians and administrators, all driven to provide referring veterinarians and pet owners the best possible animal care in Southern California.